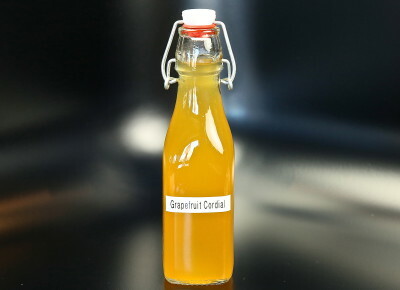 Place the grapefruit skins into a clean jar and muddle to express the oil. Add the remaining ingredients and stir to dissolve the sugar. Allow to sit on the counter for 24-hours, swirling occasionally. Strain through a fine mesh sieve into a clean bottle and store in the refrigerator for up to 8 weeks. Yield: 2½ cups. This sweet syrup is so delicious that we’re tempted to drink it entirely on its own! This recipe comes from Jens Holmgren, AKA Sweden’s Cocktail Superhero, for use in his Grapefruit Gimlet (Grimlet). 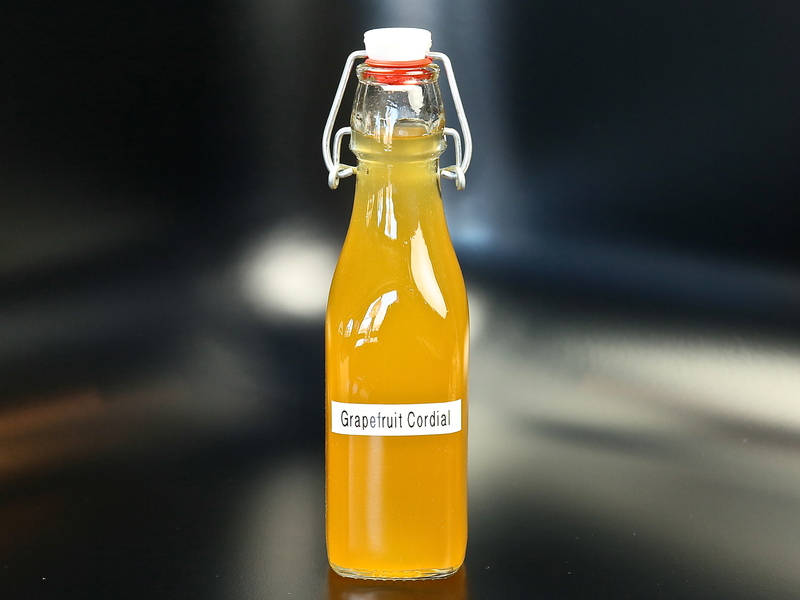 Based on the Lime Cordial recipe, this syrup has a pleasantly sweet grapefruit taste with a bright and dainty depth. We call it a cordial, using the traditional English definition, realizing that here in the US we typically think of cordials as liqueurs. Enjoy!